Throughout the Great Recession, business growth has been more elusive, but the paths to growth aren’t hard to find if you know where to look. 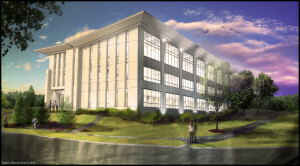 In Greater Madison, one path leads through the properties of Welton Enterprises, which is developing four business parks located in growing areas. Welton Enterprises has space for any business that wants to travel the growth path. With its core business of build-to-suit commercial development, concentrating in the industrial sectors of manufacturing and warehousing, Welton has more than 30 principal-owned commercial properties in its portfolio. With commercial spaces ranging from under 5,000 to over 200,000 square feet, the company offers business partners some of the Madison area’s finest locations. Silicon Prairie™, a 134-acre, mixed-use development located at the intersection of Mineral Point Road and South Point Road, just a mile from the Beltline Highway. 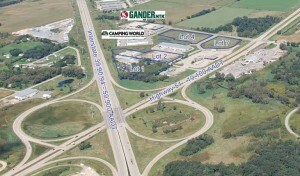 East Metro Business Park, a 52-acre, mixed-use development with 22 acres available at the intersection of Interstate 39/90/94 and Highway 51. 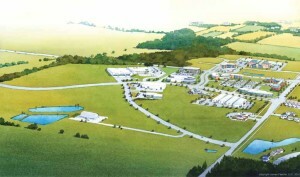 Quarry Ridge, a 64-acre, plannedmixed use development on Highway 14 in Middleton. Tancho Business Park, situated at the intersection of Manufacturers Drive and Transport Court in a growing industrial area on the east side of Madison. Of the 1.3 million square feet of space in Welton’s existing portfolio, more than one million square feet is in the industrial sector. Welton currently has available space on both the west and east sides of Madison. Its current focus on light manufacturing is one in which Welton’s staff, which has combined experience of more than 88 years, can apply its depth of knowledge in a variety of ways. With a combination of creative development solutions and enduring design for the community, Welton Enterprises delivers exceptional value to clients. Through the establishment of a Board of Advisors, Welton has successfully integrated a “best practice” approach that enables it to help clients meet changing business environments and economies. location on the west side of Madison, and served by robust telecommunications and fiber optics, Silicon Prairie™ is an ideal location for a company headquarters. of square footage is available for light manufacturing, including 41 acres for light manufacturing and flex uses. Already home to several successful businesses, providing hundreds of jobs, Silicon Prairie’s diverse tenants include the likes of Full Compass, CSS Power, and the Academy for Little Learners. hole in a doughnut, surrounded by lots of delicious dough and glazing in the form of the area’s finest residential neighborhoods – the Highlands, High Point Estates, Knoll Valley, Cherrywood, Pheasant Point, Blackhawk, and many more – plus retail, more than 50 restaurants in the vicinity, municipal amenities like fire stations and bus lines and bike paths, and other high-end commercial developments like University Research Park’s second campus. 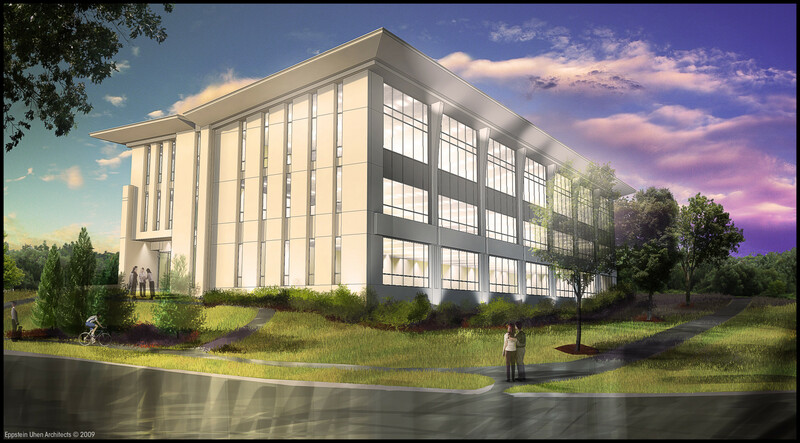 With more commercial development and future municipal services (libraries and police stations) and close proximity to main streets like Mineral Point Road and University Avenue, Silicon Prairie™ is a place where top executives want their company headquarters to be. While close to the Beltline, there is no fighting Beltline traffic or delays. There is no trouble finding quality-of-life amenities, and no inconvenience in an area that has been Madison’s main engine for growth – something top executives invariably look for. Not only is Silicon Prairie™ an ideal location for a white-collar workforce, it also provides light industrial options in a city where such properties are limited – and not just for warehouse space, but for a company headquarters, too. To accommodate future expansion and building modification needs, Welton ensures that manufacturing firms enjoy flexibility in their property and facility design. centers of real estate development, and the ability to structure joint ventures with tenants and non-tenants alike. “In terms of the number of quality options, there is nothing like this anywhere in the city,” stated Joanna Burish, director of finance and development for Welton Enterprises. Thanks to Madison’s unusual geography, Silicon Prairie™’s west side location also contributes to Welton Enterprises’ “Beyond Green™” philosophy. In most cities, the best way to shrink one’s carbon footprint is to be where most people live and work, usually downtown. With Madison’s slender Isthmus, that kind of density isn’t possible in the city’s core, so the best carbon-neutral locations are situated on the outskirts of town; in a sense, Silicon Prairie™ and its surrounding area comprise an accidental New Urbanist model. This “green” outer ring challenges the conventional wisdom, but so does Welton’s entire Beyond Green™ approach. As with all Welton properties, there is an intense focus on sustainable development at Silicon Prairie™. The company’s trademark is not “going green,” but Beyond Green™ because it truly has gone above and beyond the call in building sustainable properties. several irrigation trenches, and four ponds – none of which were required. As Welton notes, there are several pieces to sustainability: energy conservation, waterusage, air quality, and internal and external linkages. And they are not necessarily sophisticated. Air quality, for example, can be dramatically improved by something as simple as placing a front-door mat for people on which to dust their feet. This attention to detail is appreciated by Silicon Prairie™ tenants. Amy Crooks, director of the Academy for Little Learners, said that when her organization was conducting its due diligence on a new location, Welton Enterprises stood out in comparison to others. Crooks said Welton has followed up on everything they promised to, and that she doesn’t have to wonder about their commitment to addressing issues, or feel the need to double check on things. She cited one telling example. Welton Enterprises has developed a transportation demand management plan for Silicon Prairie™, integrating bike paths, walk paths, and shared transportation. If the city isn’t up to speed with a needed bus route, Welton will work with tenant companies to make sure employees have a transportation option. The service dates back to 1984, when Welton arranged for Union Cab service to the HighPoint Area when the bus routes all ended at West Towne Mall. Also situated near Silicon Prairie™ is Quarry Ridge, whose development is farther down the road. 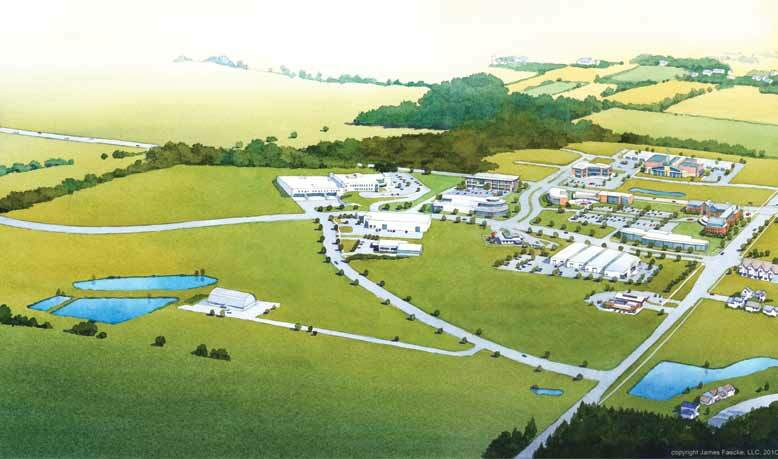 Quarry Ridge, which backs up to Pleasant View Golf Course, can be expanded up to 140 acres and offers an outstanding location in a strong future growth corridor that does not currently have much land available for industrial and office development. Welton owns 64 acres for future development, and a right of first refusal on the adjacent 75 acres. Currently home to Gander Mountain and Camping World, East Metro features great visibility and easy access to the surrounding region. 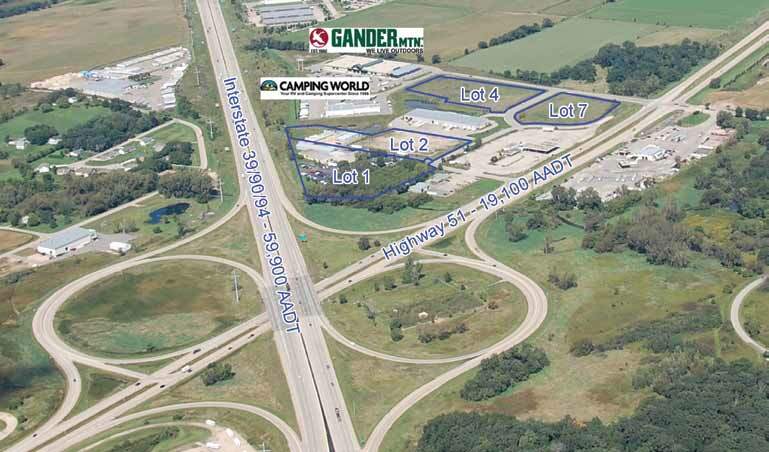 It contains 22 acres of land zoned M-2 in the Village of DeForest, which is available for industrial uses with the potential to add more retail space that would complement the two existing retailers. welding, there is a symbiotic town-gown solution close by. According to Burish, the City of Madison and the Village of De Forest are working to make the wider area more accessible with new streets, which will make East Metro even more appealing for retail development. Already, new services like St. Mary’s Hospital’s Urgent Care Clinic serve a growing population in Eastern Dane County, and Dean has broken ground on a new clinic one mile from the East Metro site. On the green front, Kurtis Welton didn’t wait for local units of government to mandate environmental protections at East Metro; he placed deed restrictions on the property back in 1995. He did this to put water that falls on the site back into the aquifer because water from the East Metro site flows into the Token Creek watershed, which provides 75% of the water that flows into Madison lakes. Joint ventures are unique investment structures that allow a company to partner with Welton in the acquisition or development of a facility for that business to occupy. Joint ventures can take a variety of forms, depending on tenant needs, but in each case Welton brings its considerable development expertise to bear in what is essentially a partnership in professional property management. The Welton Partnership Opportunity Team can offer a partnership with an expert in the commercial real estate market, and lower the risk for your business to own real estate. With extensive market research and in-depth market knowledge, the team offers creative solutions for your facility and financial needs, enhances your ability to grow equity in your real estate investment, and helps build long-term value. Welton Enterprises also has a saleleaseback program that offers an alternative form of financing for a company that currently owns its real estate. If your cash or equity and time would have a better return if invested in your business instead of real estate and property management, then a sale-leaseback may be the best solution. Welton’s sale-leaseback program enables you to cash out equity to reinvest in your business, take advantage of continued use of your facility through a long-term leaseback, upgrade your working capital and convert illiquid assets into cash, attain tax advantages, and have Welton’s experienced professionals own and manage your facility. Those who engage Welton will be working with an organization that is committed to uncompromising quality, a trait appreciated by tenants like Amy Crooks (Academy for Little Learners). “They were very supportive of what we wanted to do, but at the same time, they were particular about what they wanted for their development, the kind of image they were trying to project, and what they wanted the development to become,” she said. “That, for me, was very reassuring because I knew if they were taking the time to make sure we were the right fit, they would be doing that with everyone coming into the business park.